"Matte White Pigment Powder - For Water "
COMMENTS: I have used titanium dioxide from other suppliers and I have to say this one works the absolute best of all of them. I used 1 tsp in the portion of my batter and it came out a pristine white. I will only get my TD from here from now on. COMMENTS: Used in cold process soap, turned batter a beautiful white. Very happy. "Matte White Pigment Powder - For Water"
COMMENTS: The BEST TD on the market, I use water soluble due to if i want to use it in melt and pour. it is easy to mix and you get the best white possible. COMMENTS: I use this in my mechanics scrub bar soap. It's very fine and removed dirt and oils very well. "Love this product it keeps the white I love"
COMMENTS: Although this is easy to work with, I think I prefer an oil-soluble TD. I feel like I have to use way more of the water soluble TD than I ever did of the other variety. It does the job but I think it is just ok. Not a spectacular performer. "Will never go back to oil-soluble"
COMMENTS: I could never get my bars to be truly white until I tried water-soluble titanium dioxide. This powder is so easy to disperse and once added and stick-blended it makes a true white. I rarely, if ever, get glycerin rivers using this. COMMENTS: I use this to lighten or whiten colors when making CP soap. Can be hard to incorporate without lumps. "The only TD I will use"
COMMENTS: This is water soluble titanium dioxide. I mix what I need with a little warm water and stir it with my milk frother and it blends in well with my CP soap. No specks to worry about. Warm water is the key for me to get it to break down quickly and completely. COMMENTS: This TD works well in cold process soap. It easily mixes with water and doesn't leave white specks in my soap. "Gives a rich creamy white color! " COMMENTS: Gives a rich creamy white color! I bought this for clear melt and pour soap base I added alcohol for mixing it up and it worked great. • Gives a rich creamy white color! COMMENTS: Excellent performance and creates a nice bright white color. COMMENTS: Since I was looking to Titanium Dioxide I was in a hurry and I have never used it before. I was very impressed how my soaps turned out. Love this product and will be ordering more! COMMENTS: Wonderful...I am just learning about cp soap...and this helped me so much with getting different shades of colors! COMMENTS: Gives a rich creamy white color! COMMENTS: I used this in my second ever batch of cold process soap. It was easy to use and gave me the exact result I was looking for. 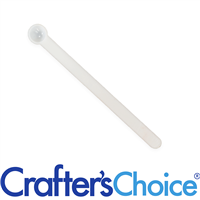 "Works well in Water and oil"
"Great for my micas! Perfect quality and price!" COMMENTS: This is perfect for my micas and colorant. Great price and always great quality! COMMENTS: I am new to soap making and am glad I found this at WSP. It is easy to use and my soap came out a lovely white. I wish there were directions for use on the packaging for new soapers. The price is great and so is the quality. COMMENTS: I only use this TD for water in my CP soaps. Sometimes I premix, sometimes I make it at the last minute. I do mix it in heated distilled water and it always comes out nice and white in my soaps. I avoid glycerin rivers by doing a water discount. COMMENTS: Well, I really thought all TD was created equal, but after using WSP's TD, I guess I have to rethink that! I noticed a difference immediately when I added a touch of distilled water to this to pre-mix some up for a batch of CP (1tsp/PPO yielded excellent results). Like the TD I'm used to from a different supplier, it didn't immediately stick to the bottom of the cup like a sticky paste, and I didn't have to blend it to death with my mini-mixer like I'm used to. Nothing of my routine was different, other than using WSP's TD instead, and I was impressed by how effortlessly it fully dispersed in water with no clumping to fight with. When it came time to add to my soap, it also fully incorporated much easier & smoother as well, and I've not had one little pesky speckle of TD in my soap since making the switch! Call me crazy, but I've run into no problems with glycerine rivers either with using this TD for CPOP as well! I truly did not think there was a difference between one TD & the next, and I usually just went with whatever gave me more for my money, but this stuff is GREAT, and there IS a noticeable difference! Price is good too, and when performance and ease of use are factored in, this makes for an excellent purchase! As soon as I get through my current supply from another supplier, I'm making the switch to WSP's TD & never looking back! I'm so happy I decided to try a sample of this, otherwise I would have never known! The soaps I've used with this have come out flawlessly white every time! • Disperses in water effortlessly! • No specks, no glycerine rivers! COMMENTS: I use this often! 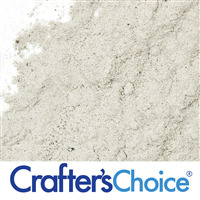 COMMENTS: I have been very pleased with crafters choice matte white pigment powder. works great. COMMENTS: Haven't used it yet, but love the value and looking forward to using it in my new venture! 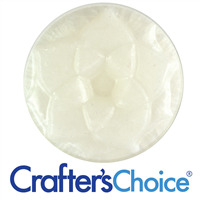 "Wonderful for Cold Process Soap"
COMMENTS: I love this TD, it dissolved great for me. I mixed a bottle up to have ready when I needed to use it and it mixed up great. I love how it makes my soap so white and beautiful. I will be buying again soon. COMMENTS: Works well in cold process soap. I also just used it in M & P , dissolving it first with a little M&P and it worked. COMMENTS: Great results for the white color I needed. going to try the oil mix next time to compare. COMMENTS: This is my favorite form of TD. I had so much trouble using the one meant to be dispersed in oil. It never dissolved fully, even when I kept a jar in oil for months and months, shaking, stirring etc. It still always had undissolved bits that showed up in the soap as white dots. This TD dissolves so well, I barely have to stir it. I only need to mix it while I am getting all my add-ins ready. 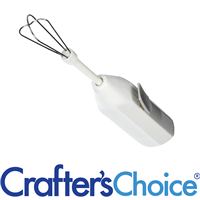 As long as it gets blended with the stick blender, it mixes perfectly into the soap batter- but it won't mix well if you just whisk or hand stir it in. COMMENTS: works well with my HP soaps. I add this to my oils prior to adding the lye water. works great every time. COMMENTS: This is easy to disperse in water. I add it to my lye water solution after it has cooled down. Its the best way to color an entire batch of soap white. COMMENTS: Great for cold process soap and cosmetics period I used this frequently and always buy a large bag. You can't beat the pricing. COMMENTS: Love that it is water soluble! Works well for CP soaps. COMMENTS: I use this in hot process soap and have no problems with clumping when mixed with hot water. COMMENTS: This has been the best Titanium Dioxide I've used so far. I've tried so many different ones out and never been happy with the results. I used this for the first time yesterday and I absolutely love how it mixed nicely and no speckles in my soap. I'll definitely be buying more soon. COMMENTS: This does work well but I actually prefer the oil dispersible version. "Saved me from white specs! " "MUST HAVE in my Soaping Studio"
COMMENTS: I've used WSP TD for years and I absolutely love it. I love how easy it is to use, and how I can mix with water. It makes the brightest whites, and also helps to enhance the depth of other colors - it's an absolute must-have for my products. COMMENTS: This is one TD that I never want to do without! This one whitens so strong, that I've had to learn to use only 1/2 tsp PPO. Love especially that I can mix this with water. I will never go back to mixing TD with oil ever again. COMMENTS: Works great in my cold process soap mixes well. COMMENTS: I had the hardest time with TD, until I purchased this. Dissolving in water makes a world of difference! No more TD spots. I find that it dissolves immediately in hot water. COMMENTS: I used this as a colarant for my poo-pourri knock off. A little bit goes a long way! • don't have to use much. COMMENTS: Love this titanium dioxide! Mixes nicely with water and doesn't leave clumps or spots in soap and I don't have to use a mini mixer. Doesn't speed up trace either!! Will definitely keep purchasing! COMMENTS: Though this TD is water dispersible, it works very well with light oils as well! COMMENTS: This makes my soap in lighter color and look smooth. love it! COMMENTS: Mixed this per recommendations and it worked great. I'd heard a lot about issues being caused by using too much TD but I wanted white and used until I got the shade I wanted. No problems. COMMENTS: Wonderful whitening for cp soap. "Best TD that I've purchased"
COMMENTS: This is by far the best And easiest TD that I've found. Will be purchasing more soon!! COMMENTS: Mixes easily in water and no clumping. Works well in soap to color and I keep a bottle all mixed on hand to make it easier. Very nice product and excellent price too! COMMENTS: Dissolves in water easily. Easy to work with. Truely pure white. COMMENTS: I used this in my hot process soap. It is great to find a product that is for water. Worked great and I love the way it looked in my hot process soap. It is not a bright white but does the trick. • I wish it were a brighter white. "Ugh! Leaves Weird Spots in my CP Soap"
COMMENTS: I bought this after reading all the good comments about it, but unfortunately it's not for me. I made a batch of soap, with the TD, and ended up with all kinds of reddish spots. Thinking it could have been rancid oils, I made small batches of using single oils just to be sure and they came out fine. I made a second batch and ended up again with these weird spots in my soap. While the soap is good to use, it's not really what I wanted. COMMENTS: Works so great in cold process! I use it nearly every time I soap. It comes in a nice resealable thick plastic bag. 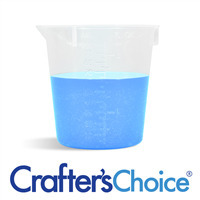 COMMENTS: Easily mixes in Melt and Pour when blended with a little glycerin. 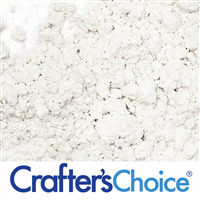 COMMENTS: Love this White Pigment Powder for all of my soaps that need a little white swirl. I tried the white pigment powder for oil and didn't like it as much as this one. The powder mixes much better with water and doesn't leave any white clumps. 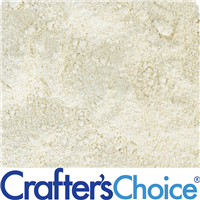 COMMENTS: This is fantastic..I like the water based white is mixes fast and even no big clumps. COMMENTS: Never used white to color so not sure if this is the best our there. Sample size made my soap a creamy white (did 7 lbs of soap). I like it so far thou. "BEST TD---I NEVER GET WHITE SPECS IN MY SOAP!" COMMENTS: I JUST MIX IN BOTTLE WITH WATER...THATS IT...WORKS GREAT. COMMENTS: We used this in a 2:1 ratio with two parts water to one part titanium dioxide and this made our soap super white. When we mixed this with a floral scent from WSP it made our soap slightly rice but nothing major and the ricing did not show in the final bar of soap. BUT this does not disperse well in oil and/or water because when we cut our soap loaf into bars it looked like the titanium dioxide had clumped, rather than leaving a clean bar of soap it had smeared when we cut our soap. COMMENTS: I love the white pigment for water instead of for oil, less clumps to worry about. COMMENTS: Great TD, mixes easily. I like that I can buy it in bulk. "Very little goes a long way "
COMMENTS: I use this to color my clear M & P base a white color when using it for swirling into the same base type. Don't need much to make a wonderfully super white soap. I keep this on hand all of the time. So glad I found out about this wonderful product through one of my soap making blogs I belong to. 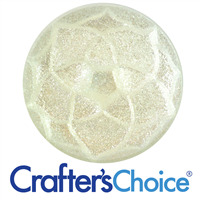 Everyone suggested this WSP product to me when I submitted a question about coloring my clear base to make it white. Thanks WSP and all suggestions. WSP Response: We're glad to help and so happy that your product turned out the way you wanted! COMMENTS: Absolutely loved this, made my soap look so white and creamy, I used it because my FO had vanilla so I didn't want a brown bar. Worked great. Easy to worked with dissolved easily in water. Will order again thanks. COMMENTS: I premix this in a bigger bottle, and just shake before using. Great! COMMENTS: This blended easily with water and has a good feel to it in powders. I've used other brands that felt grainier and didn't blend as well. I'm happy I took a chance and ordered the larger size. COMMENTS: I've tried it in numerous CP batches, and it does make the batter lighter, but it just doesn't give a nice white like a much smaller amount of the version that works in oil. COMMENTS: I use to brighten my soaps, product blends nicely. COMMENTS: This white is nice in both CP and M&P!!! COMMENTS: I use this in my cold process creations to get a true white color. Does not seem to accelerate trace and is easy to use. Love it! COMMENTS: Works really great. Only need a little for a true crisp white. I like to mix a big batch and use as a go. I got a one pound bag almost a year ago and just ran out and I make a lot of soap at least one loaf a week. Really recommend this product. COMMENTS: I used this product mainly in melt and pour clear base. Its convenient to keep just clear on hand so I use this for making a good white base. It was a very true white. I would but this again! COMMENTS: This mixed very well and I got a very nice bright white color in my soap. I bought half a pound but will be buying more from here. COMMENTS: I put it in my lye water for wonderfully creamy looking soaps. My customers love the look and I love how easy it is to use. COMMENTS: Used to lighten the appearance of soap. Did the job! COMMENTS: This truly is a must have for any soaper. Great !! COMMENTS: This powder works really good for making cold process soap white.. works very well. COMMENTS: Worked very well in a swirl soap using the matte white and green clay shaving soap. • Mixed very well with distilled water. COMMENTS: Dispersed well with glycerin but if you use too much it will clump/speckle at bottom of soap. COMMENTS: I was not sure I had made the right choice with this, but am super impressed with the results I am seeing in my soaps. Mixes well with no lumps in water. My soap looks great. Use a little to lighten or a lot to whiten. perfect! COMMENTS: A little goes a long way. I used to use the stuff for oil, but had too many problems with speckling. No problems with this stuff. Never had a problem with crackling either. COMMENTS: I love this TD, the price is unbeatable and it works great. I dilute it in water with one part TD to four parts distilled water and it works great. "Great products for Cold Process"
COMMENTS: I am new to soap making. I have made a couple of batches, so I decided to started doing some color and of course I needed white. I did a lot of research and decided to go with the one with water. It was easy and mixed well with water and looked really nice on my first try with color. COMMENTS: I've been using this TD for a few months not and I love it. Whitens my CP soap beautifully. COMMENTS: Mixes well. I will definitely buy again. COMMENTS: Works well but I sometimes have a hard time getting this to blend and dissolve completely. "Pure White in CP Soaps"
COMMENTS: This gives cp soaps a brilliant white color. Mixes easily in water. COMMENTS: A little goes a long way. All you have to do is add a little bit of water to about 1tb and let it disperse.. mix it together and works perfectly in my cp soap. Does what I want it to and hasn't misbehaved on me yet. COMMENTS: I like that you mix with water. It mixes in really well and I don't have the white flex in my soap after using it from unmixed pigment. COMMENTS: This is a must if you want anything close to white in soaps. It is easy to mix with water or glycerin, which is my choice, and produces shades of white to white depending on how much you use. Don't overuse. It's a staple in my supplies. COMMENTS: This color worked great to lighten my beer soap. COMMENTS: Good whitening, but im concerned I may have gotten a bad batch. It is causing my soaps to seize BADLY. "its ok but need directions"
COMMENTS: The product seems fine but as a new soaper, I would really appreciate some sort of directions in using it like how much per lb of soap, etc. COMMENTS: This white pigment is ok...but I like the oil based pigment better. The oil pigment just seems to product a more whiter white. "My favorite TD to use in cold and hot process soap"
COMMENTS: I love this titanium dioxide because it mixes quickly and very well with water. I use 1 tsp TD per cup of soap, and it does not crackle even when oven processed. Very bright white with a nice smooth texture. COMMENTS: Works well in all of our water based products. Love it! "Much better than the one for oil"
COMMENTS: This blends easily into water or glycerin and I don't get a lot of issues with rivers if I use the correct amount. I find this product is a lot easier to use than the oil based product, and less expensive! COMMENTS: The best!! Takes very little water to disperse it!! Very opaque! COMMENTS: Color holds and works well! This will look beautiful in my candy cane soaps!! Great price and recommend! "good for lightening other colors"
COMMENTS: i use this pigment to lighten colors in my water based products. for this purpose it has worked very well. COMMENTS: I love this titanium dioxide, it mixes so smoothly in water and I also found it works good in oil based formulations too. Plus I cant find it cheaper anywhere else, so I will continue to purchase from you guys! COMMENTS: It's good in CP. Takes a bit more to get really white. Sometimes prone to crackle, but satisfied. I will use again. COMMENTS: I have used the matte white pigment mixed in water prior to lye being added to have a white soap especially with using goats milk as that would be a beige color without. It also turns out well removing some of the mixture at trace and mixing some in for a swirl of white in dark soaps. I had a really fancy swirl with this mixture which was quite raised on top of soap in mold and very pretty. It can be used to lighten too dark of color during cold process by mixing in or adding to another color mix. COMMENTS: This powder mixes well, does not clump, and makes a very nice white soap. COMMENTS: I love that wsp carries the water soluble td. I always choose if I can to disperse colorants in water so this is perfect. Amazing value as always. Perfect performance. COMMENTS: This TD was so easy to use. It dissolved very easily in water. A little bit went a long way and I love the color it gives . COMMENTS: Easy to use titanium dioxide, dissolves beautifully and a little goes a long way. Will definitely order more when I run out. COMMENTS: This mixes easily leaving no pesky clumps in soap base. Have used to add depth to my colors in CP soaping as well as creating swirl on top for peppermint soap. COMMENTS: This works great in Melt & Pour soaps. I am afraid to try it in Cold Process soaps, though I see that some people have had good luck with it. For cold process, I would probably use the one for oil instead. 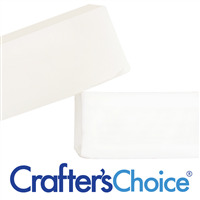 COMMENTS: Great product, easy to use and achieve a white soap!!!! COMMENTS: Great for making things white! COMMENTS: I've had good and not so good experiences with this product. Mostly good. I guess I am still learning how to use it correctly. COMMENTS: I am new to using Titanium Dioxide, I got this as a sample. i mixed it in a little warm water and blended it with my milk frother. I used it to lighten my alkanet root infusion to get a lighter purple color and I think I like it for that purpose. I will be purchasing more just to use it to lighten my colors for swirling. COMMENTS: Super easy to mix with water. It just takes a little bit to whiten any soap batter. Too much will make your soap crumbly. COMMENTS: This is great for lightening your CP soap, but be careful, to much and it makes your soap crumbly. COMMENTS: Such a great product. A little goes a long way and this is something I use in almost every batch of soap. No clumping and it mixes beautifully because it mixes with water. And like everything else from WSP....a fantastic value. Love it. COMMENTS: Worked perfectly in my CP soap. I've made many beautiful soaps but I really wanted white for swirls. This was great!! No problem mixing with water. 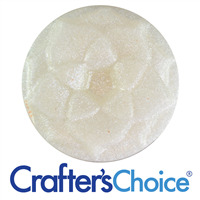 COMMENTS: I use this in all my soaps to start with a white base before adding other colors. I add it directly to my oils and it works perfectly! COMMENTS: I love using the white matte powder. It allows me to play with color very easily. I don't have to worry about my soap changing color the next day either. COMMENTS: Wonderful way to maintain a white color to my soaps.. I mix with glycerin then add it to my soap. COMMENTS: This easily mixes with water to add to your soap batter to make white or creamy soap. COMMENTS: Mix in some water and done, make sure you need more of it when the colors have richer colors by themselves. COMMENTS: Great product at a great price. 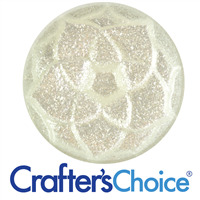 I use this for lightening the color of my soaps and for doing swirls. Easily mixes with water for consistent color distribution in the soap. COMMENTS: I had previously been using oil soluble TD in my CP soap making.I find this water soluble TD to be so much easier to dissolve and incorporate into my soap at light trace. NO more straining to get rid of tiny lumps!! YAY Thank you for this great product! COMMENTS: I use this in CP soap as a whitener or lightener. It blends well with water and blends well into my light trace batter. Cannot do without it! • Blends easily with water. • Blends easily in CP light trace,. "matte white pigment for water"
COMMENTS: Works and soaps like a DREAM! I recommend this to anyone. "Worked very well for me." COMMENTS: I use this in my cold process soap. I have also tried the oil one. I like the water one much better. I incorporated it into my soap at light trace. I saw someone on YouTube use this and they suggested that you mix it with warm water. That's what I did and I used a mini milk frother to mix it. It worked out very well. COMMENTS: I made the mistake of using too much early in my soap making. Really just a half to full tsp or so per pound is all that is needed to color soap white. Works great! COMMENTS: Mixes well with water or glycerin. Will be buying a ton more! COMMENTS: This works great. I never have clumping like the oil soluble TD. Always use it! "one of my favorite products!" COMMENTS: This works fantastic! I use it for cold process soap and get the desired outcomes I'm looking for. "works great! easy to use." COMMENTS: This product is wonderful! Mixes much better than the one for oil. I will buy this product from wsp again. COMMENTS: This titanium dioxide works great in the detergent free clear soap base. Mixes easily with water and stirs into my base nicely. A little goes a long way and the price is great. COMMENTS: Love this product, I add it to almost all of my soaps. COMMENTS: This was my first order from WSP. Impressed with the product prices, shipping time frame and the free UPS shipping. Using the TD (for water) in my CP soap was a breeze. My total soap yields was 43 ozs. I added just under 2 tsps to my cooled lye solution just prior to adding the lye solution to my oils - no clumping. The powder turned my lye solution white and blended into my oil like a dream. The FO was added afterwards (at thin trace) but discoloration was very minimal to me. This was my first time using TD and I experienced no problems at all incorporating the product into my CP soap. I read the prior reviews, which really helped me and gave useful tips and tricks on using the product. Thanks a bunch prior reviewers and WSP. • Miminal amount of product needed. COMMENTS: I prefer this over the one that is soluble in water - much easier to use. I premix with some distilled water and have it ready for future CP soap batches. Don't need a lot for a nice white bar. Love it! "Love this stuff for shampoo and shave M&P"
COMMENTS: I wanted to make shampoo bars, and mixing this in glycerine works as well as water (thanks other reviewers!). I like that it took the cloudy clear M&P base to a nice white toned bar.